Experience a world of tropical delights with a luxurious stay in Princeville, Kauai's most exclusive resort area. With panoramic views of the Pacific Ocean and the majestic Na Molokama Mountains, this stunning area offers the best of the island. Named in 1860 in honor of Hawaii's crown prince, Prince Albert, Princeville's verdant landscape is the ideal place to unwind and slow down on Kauai's North Shore while indulging in Hawaii's finest. Discover golden sand beaches, championship golf, horseback riding, and ziplining. 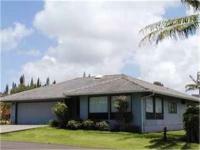 Choose from the best Princeville vacation homes from our vast selection that are mere minutes away from it all. Whether you're looking for a bungalow in the heart of town or a secluded beachfront home that's just a little off the beaten path, the simple elegance of Princeville is yours to discover. Revitalize your soul and entice your senses with Princeville's sweeping, rolling countryside, magnificent canyons, and soft sand beaches. In elegant Princeville, it's easy to rejuvenate while immersing yourself in Hawaiian island beauty. Visit tranquil Hanalei Bay, head to the Kilauea Point Lighthouse, a 52-foot historic landmark with scenic views of the dramatic cliffs and coastline, or hang loose and snorkel at Kaweonui (Sea Lodge) Beach. 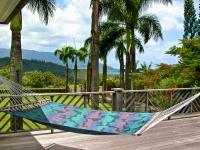 We have Princeville vacation homes that are all nearby these stunning sites. Our Princeville oceanfront villas offer all the comfort and conveniences of home with countless impressive amenities to enhance your Hawaiian vacation. 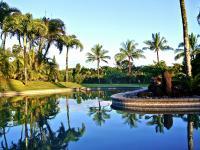 Choose one of our distinctive Princeville, Hawaii retreats and you're never far away from a Kauai attraction. Explore the North Shore and neighboring town Hanalei and its fertile Taro farms, or take a guided tour of the Princeville Botanical Gardens, a family-owned paradise featuring all sorts of exotic plants with medicinal value. Go shopping at the only shopping mall in Princeville, the Princeville Center, or relax in the turquoise waters of Puu Poa Beach. Our selection of stunning Princeville houses will put you in walking distance to many of these attractions. You won't even have to leave your Princeville home. Our inventory of exceptional Princeville vacation rentals allow you to enjoy stunning sea, mountain, and valley views all from the comfort of your spectacular, well-maintained Princeville home. Find luxury accommodations with multiple bedrooms, private hot tubs and saunas, fully-equipped kitchen, Internet, and Wi-Fi access, so you can enjoy all of the comforts of home with the added bonus of luxury resort living. Don't underestimate Princeville as a sleepy oasis. 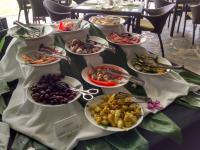 Princeville offers something for everyone. Zipline through a thrilling course overlooking Kauai's lush valleys with gorgeous mountain views and waterfalls. Explore Princeville on a guided off-road adventure through pastures and forests to historical locations, or go on a Kalihiwai Falls hike to experience rainforests and the falls' five tiers of cascading waters. Finally, don't forget the world-class golf courses or the stunning nearby beaches such as Hideaways Beach and Queens Bath for swimming, snorkeling, or scuba diving. All of these fantastic experiences are only minutes away from some of our luxury home rentals in Princeville. With homes offering 360-degree views of interior mountains, valleys and the sparkling blue ocean, a Princeville vacation home from Hawaiian Beach Rentals is your answer to spectacular Hawaiian scenery and a tropical adventure of a lifetime.